Title card for the final series. 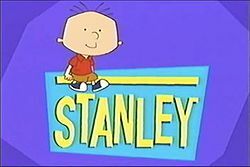 Stanley was an animated television series aimed at preschoolers that aired on Playhouse Disney from 2001 to 2007. The series was created by Jim Jinkins (creator of Doug, and PB&J Otter) and David Campbell. Stanley discusses a wide variety of issues that preschool children face, including change, growth, rules, and dealing with others. Each episode centers on an animal that deals with or helps explain the issue Stanley is dealing with. In 1999, a pilot episode of the series was sent to Disney to see if it would make it to a full-fledged series. It never aired due to Stanley's design being a bit too scary for young audiences. The pilot was called "Kangaroo Clean" up but with different scenes. 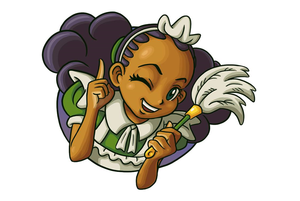 Most of it was reused in an episode of the official series. Stanley's parents' room looks completely different, having a purple setting, and Harry looks completely different. 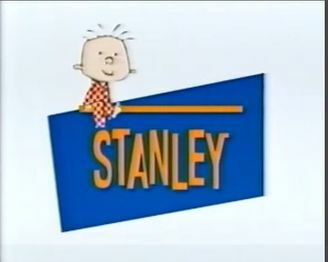 Stanley's voice actor Jessica D. Stone also voiced him in the pilot episode. His mom and dad were voiced by David Landsberg and Ari Meyers, respectfully, while Dennis and Harry's voice actors are currently unknown at this time. 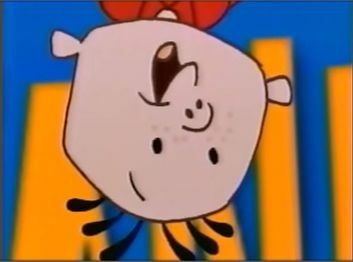 Only 4 screenshots and a short second of the pilot is known to exist in a video titled "Playhouse Disney Weird Singing Promo" uploaded to YouTube by the user Wilfredo Ferrer. 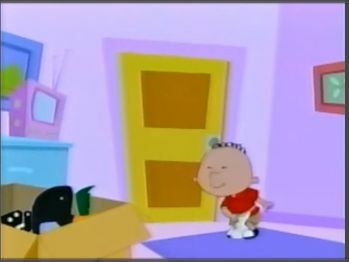 A Playhouse Disney promo featuring footage from the pilot. Title card from the pitch pilot.